This is a RECONDITIONED Parker (Lakeland) Model 232 power flaring, beading and squaring/deburring end-finisher. If you do any tube fabrication, or want to get into the tubing business, this is a very versatile machine to own. And, Parker (Lakeland) has a reputation for making top quality and highly reliable tube frabrication equipment. This machine has been reconditioned to like new condition and comes with a one year warranty. A full assortment of tooling for squaring and deburring, flaring, and beading is available, and can be quoted as needed. Just email your tooling requirements to us admin@trysurplus.com, or give us a call at 800.624.7760 to discuss your needs. An Operator's Manual will be included with the equipment. 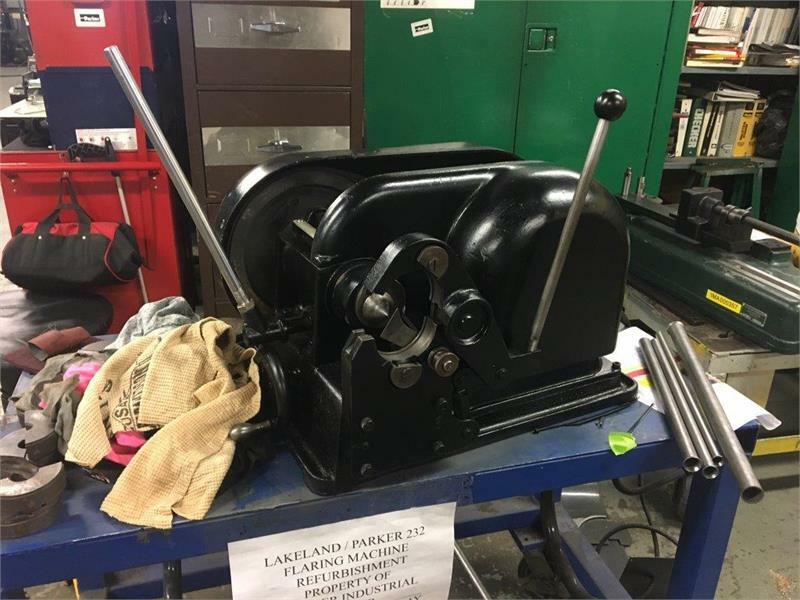 This is a RECONDITIONED Parker (Lakeland) Model 232, 2" tube end former. This unit was designed for maintenance, prototype work, and production requirements. This machine has been reconditioned and comes with a one year limited warranty. Since 1960, the staff rebuilding this equipment has been active in the design, manufacture, assembly, repair and reconditioning of tube benders, end-finishing machines, flaring machines and hydraulic power supplies.